I have a beautiful eleven year-old girl who is growing up too fast. Are parents ever ready to handle all the physical and mental changes that happen especially during the middle school years? 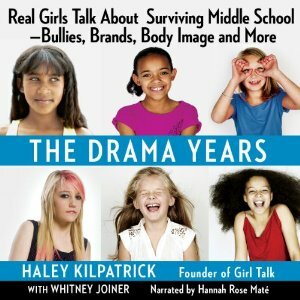 Well, after listening to The Drama Years, an enlightening guide to the pressures that middle school girls experience that includes sound advice for parents, I did two things. I started seeing my daughter through different eyes and I ordered this book. Listening to it was great, but I also wanted a print copy for reference. Kilpatrick is actually the founder of Girl Talk, a nonprofit national organization, which is “a peer to peer mentoring program with a very simple premise: high school girls mentor middle school girls to help deal with the triumphs and trials of the early teenage years”. Her book not only tackles important subjects such as self-image, friendships, bullies, sexuality and brand names, but is filled with anecdotes from middle-school girls themselves, which, as both a mom and special care counsellor, I found so insightful. I suddenly realized what my daughter is up against and after listening to this book, I am determined to help her steer through the turbulent transition from girlhood to adolescence with as much compassion and understanding as possible. That's what this book did for me. Kilpatrick gives practical advice that comes from her years of experience working with tween girls along with the advice from older teens who've “been there”, offering a fresh perspective, making me realize that although some themes are universal, school life is considerably different in 2012 that it was when I was in school in the early 80s. Technology, especially, has changed the way youths communicate. In particular, I thought the author's strategy of introducing the three elements in a girl's life to downplay the drama (an anchor activity, a mentor, and volunteering) made so much sense, as I could see it already works with my daughter. I also appreciated that she brought up how to develop good traits in tweens such as kindness, authenticity and humility. Truly, this guidebook prepares parents to help their young girls succeed not only through middle-grade but through life itself. I started listening to this book in the car while driving with my daughter and I could see she was very interested. My daughter said she liked the topics that were going to be discussed and also the young narrator's voice, which I thought was appropriate for this book, since it's a book that can be read by young girls too. The narrator was able to change her voice inflection when she read the quotes from the tweens throughout her narration. I had mentioned to the producers of this audiobook that it would be helpful to have the chapter titles indicated on the CDs so a listener could easily reference them in the future. They have taken note of my suggestion, which I appreciate. I consider this easy to read and inspiring book a must-read for all parents who have tweens or soon-to-be tween girls. It's also an excellent reference book for teachers, educators, social workers and anyone who works with this population. I think the Girl Talk organization started by Kilpatrick is a needed and worthwhile endeavour! You can find more information about it on their website: www.desiretoinspire.org. Disclosure: Thanks to Post Hypnotic Press and Audiobook Jukebox for sending me this audio book for review. I was not compensated in any other way, nor told how to rate or review this product. 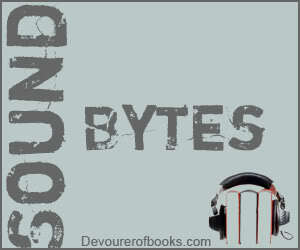 Sound Bytes is hosted by Devourer of Books, a weekly Friday meme where you can link up your audiobook reviews.